Adolfo Indacochea is a dynamic and full of expression dancer known worldwide for his exceptional, flowing movement. 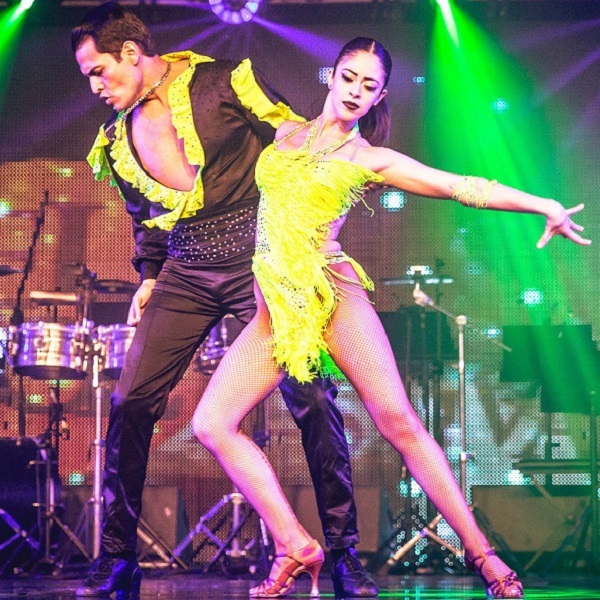 His style combines classic New York mambo with elements of jazz, modern dance, ballroom dancing and flamenco. His musicality shines through in both, his choreographies and improvisations. His enthusiasm, genuine love for mambo and unique teaching technique make all his workshops a great fun for everybody. At all the levels of advancement, he introduces not only footwork and partner work combinations, but elements of eurhythmics, styling and body movement as well. He believes that anyone interested in mambo should get familiar with the music, so during his workshops you can hear songs from various periods, artists and countries. Adolfo’s goal is to bring a new quality to the stage, while always respecting and remembering the traditions. He captivates the audience with his passion and heartfelt dance.